Out of foundation and need to make a purchase..... what say you ladies?? Have you found a little tube/compact of magic for your face? I have also come to realize that I am no longer a teenage girl who can use anything to wash her face—any faves in the face wash/moisturizer department? The stuff I have stings the C-rap out of my face and I'm pretty sure it's to blame for the constant chin-acne-action (got one at the corner of my lip the other day and that baby is painful!). On a different note; I went for a swim today (favorite way to exercise ever, excellent) and it wasn't until after I jumped out of the pool that I noticed I came without a towel. I drip-dried in the sunshine for a while, but ultimately waddled all the way back to our apartment, flip-flops squawking and watering dripping down my legs the whole way. I'm so attractive. And last; I listened to every word of this twice and cried twice. Jason too. It's like whoa. p.s. maybe don't tell Jas I said he's a softy. I'm a fan of the mineral powder stuff, Clinique 3 step face wash, and I loved that video! What a tear jerker! Anything Clinique! For foundation and face wash. I use ASAP mineral foundation and moisturiser... its sooo nice and not too pricey. Especially if you buy it off the net. Or anything dermalogica is pretty amazing for fussy skin. My concealer is the only expensive makeup I own... MAC's pressed powder. It's enough coverage but super light and stays on all day. I have the most sensitive skin and I use make-up wipes and exfoliate with baking soda. TRY IT! You'll never go back. Ok I've tried everything in the book and hands down BareMinerals is by far the best out there! And it's similar in price to Clinique but way better on my skin! I'm kind if a cheepo on my facewash but I like neutrogen naturals. I use both the facewash and the face scrub. I'm in the process of figuring out foundations and face washes. My skin has changed and my skin isn't as pretty as it used to be. :) I do like Oil of Olay moisturizer though. I get the oil free for combination skin or something like that. Clinique foundation and powder. That's what I use. Anything Mac is wonderful, though I have yet to try their foundation and powder. Also, I use Mary Kay for the face. They even have stuff for sensitive skin, for chicks like us! I use velocity face wash by mary-kay. It comes with face moisturizer too..) I use mary kays foundation too, but i wouldn't recommend it. i need something else too! I am an old woman I use Mary Kay for my face that stuff works so well and you can get it on Ebay. For foundation I LOVE erase paste by Benefit! I agree with the previous girls who said BareMinerals is the best. I've used it for years. It is so light and airy yet covers acne really well. As for face wash... Cetephil is dermatologist recommended and I've used it for years. It is very gentle yet gets the job done. I've also used a Dove bar of soap and really liked that too. And stay away from mineral oil because it clogs the pores. I LOVE Clinique. But lately I have been using Mac's tinted moisturizer. I thought it would be crap and wouldn't cover my acne, but it has worked wonders, plus it's super lightweight AND has SPF 15. Mary Kay lady here! I would love to share more, but simply....we have a great skin care line for all types of skin (sensitive, normal, oily, dry) and we have three types of coverage. Liquid foundation, mineral powder and a tinted moisturizer. We have promise that what you get you will use, if not you can trade it at any point for something else! 100% guarantee. the price is not comparitively. a little more or equal to target/walmart, less than most makeup counters! again i would love to share and answer any other questions you might have!!! These comments were SO informing for me. I've never really used any foundation so I can't help you there but I use Mary Kay moisturizer when I need it- it doesn't make your face oily at all. I also use the cheapest Olay face wash that's in the pump thing...not even sure what it's called and I only use it to get makeup off. The rest of my face I just use water. I read somewhere that your skin won't age as much that way. (that totally sounds old lady-ish but it works for me! )Anyway, good luck!!! Hi Geri! The foundation I just recently discovered (and absolutely love) is Makeup Forever Duo Mat Powder Foundation (I use #202) from Sephora. I have really dry skin, so the foundations I used in the past tended to be really cakey or just flake off. This one is so light and smooth and I'm glad I found it. Another problem I tend to have with foundations is that they break apart in my makeup case and spill everywhere, due to their granular texture. Not with this one! As for wash/moisturizer, I use the Vitamin C skincare line from The Body Shop, but they have a variety of lines for different skin types. I've gotten great results so far! I have really hyper-sensitive skin, so I love Clinique products. I use their Superbalanced Foundation in Breeze. It keeps the oil away, doesn't dry my skin out, and it doesn't clog your pores. It's light and looks really natural. Then I use their 3 step acne solutions at night and use Dove soap in the morning. Their moisturizing gel pump works wonders too when my face gets a little dry. Love that song! And the picture of the orchids...adore. 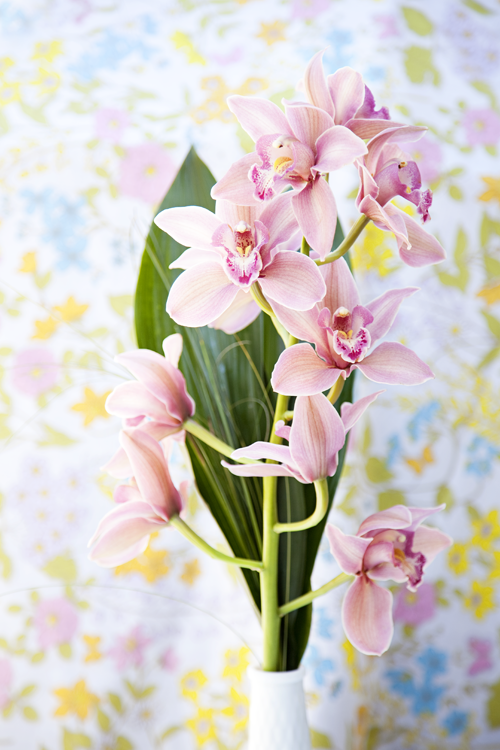 I love LOVE love orchids. Hi Geri! I just recently decided that my make up was not doing it's job. So, I went to Sephora and talked with a consultant and found 2 new favs! They are a little pricy..$30ish? But I decided they were worth it because of how confidant I now feel with my appearance! I also bought some of their applicator brushes and can't believe I ever applied make-up any other way! My favorite is not the cheapest but i LOVE "fresh soy face cleanser" it's amazing and is gentle enough to put straight on your eye lids and scrub. i love it to death, you can get it at sephora. And for Foundation i love stilla Sheer Color Tinted Moisturizer, it makes my face look amazing. I came to a point that paying the extra money for makeup in the end really does make a difference. Oh my heck!!! You guys! You better BELIEVE I have been taking all sorts of notes from this little makeup-talk sesh!!! Thank you thank you for giving me all of your secrets! melaleuca's SEI BELLA cosmetic line. ALL natural and made with vitamins and botanicals. i've used clinique, bare minerals, mary kay... and NOTHING comes close to what sei bella has done for my skin. no harsh chemicals. no redness. nada. AND the best part... if you don't like a color or a type of wash or moisturizer, return it for absolutely nothing and they'll give you a different one or your money back! same goes for the colors. I use bare minerals. I can be light to heavy coverage, and it doesn't make you break out. I am searching for a good face wash too, so if you find one, let me know. ps. Swimming IS the best way to exercise! I LOVE it! Definitely use cetaphil daily facial cleanser. Dermatologists LOVE it. I use the one for normal to oily skin. It definitely cleans but doesn't leave your skin dry. (I also love their moisturizer). For foundation, I use covergirl clean. That was also recommended by me dermo as well. It gives full coverage without being too cakey or clogging up your pores. Love about 3 cleansers from sephora. Dermalogica is good. sothys is great. and Guinot is an all time fave... it is an all time high price too so I don't buy it anymore. For foundations... I love Hour Glass. (60bucks) (Shanda turned me on to it)Shisedo from Nordy's is a goody (only 40buck) and I love studio fix from Mac. Not so good for your skin though. I do wanna try Bare Minerals though... everyone seems to love it! Geri, don't know if you will see this since it's old BUT......Audrey is RIGHT on the MONEY! There is NO better foundation than hourglass. it is liquid gold. I'm looking for new cleanser cause i used some neutrogena and had a horrible reaction. Audrey-holding out on me with cleansers though. Cosmedicine is a great cleanser, the healthy cleanse. i like a full coverage foundation and bare essentials is good but the brush always made my skin itch. i could go on and on. Audrey-we need to start that make up blog. Mac is not good for your skin though, they do have good colors though.